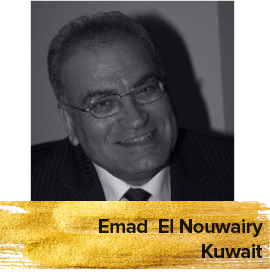 Emad El Nouwairy is a film critic, journalist and screenwriter based in Kuwait. He worked as an Editorial Manager at many Kuwaiti publications and he is currently the Manager of Ozone Cinema Company. He was selected as a jury member at numerous film festivals.